Straight Outta Compton - One of the most iconic phrases in modern history. Starting with Ice Cube, Dr Dre et al, developing with the brilliant film of a few years ago, and now culminating in this superb customisable wall sticker! 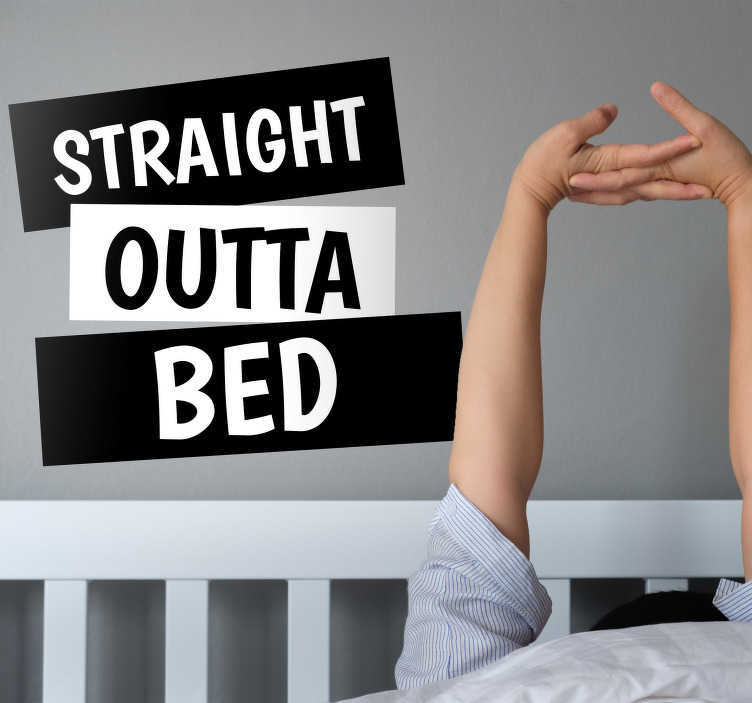 Depicts the words ´Straight outta´, with the final word open to be customised, so whether it is the word ´bed´ to motivate you further, or anything else you fancy, like your place of birth, it is sure to look great on this wall text decal!